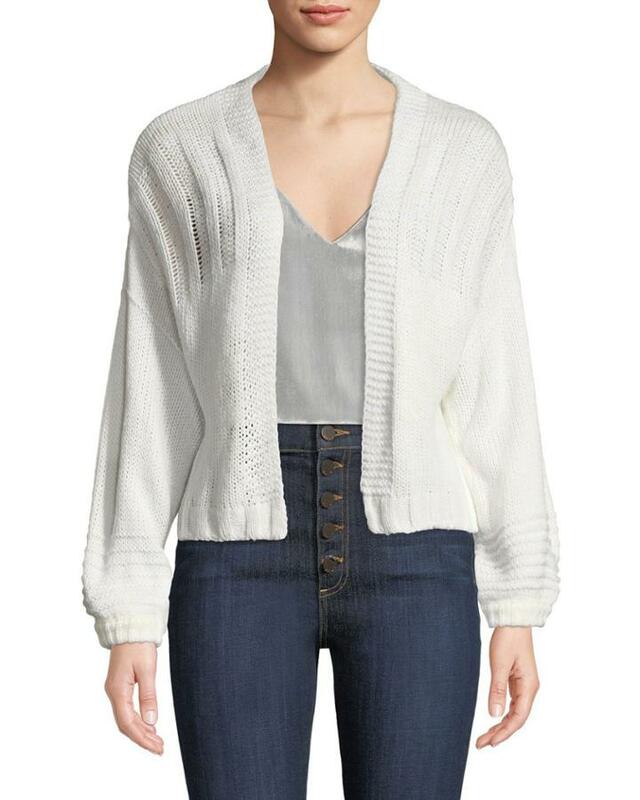 Madisonne cardigan in chunky knit. Open front. Long lantern sleeves. Ribbed hem. Polyester. Dry clean. Imported.